For a lot of people, traveling is most of the time a big hassle. Getting to the airport early, loading your luggage, going through security (which includes taking of your jacket, shoes, etc). I’m probably one of the few people left who still thinks of traveling as a chic event. I recently picked up “Airline: Identity, Design and Culture” by Keith Lovegrove and loved the effort that was put into dressing up to travel in the past. Yes, I am one of those people determined to make the airport halls my own personal runway. I think it’s fun to make an effort. Which brings me to my most current travel obsession. I like to look smart when I travel, compact and put together. 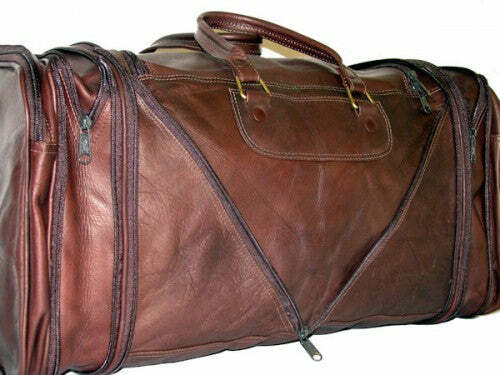 The unisex leather travel bag below is a perfect weekend bag and carry on luggage. 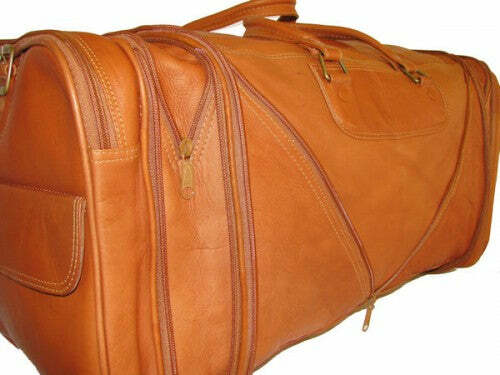 The leather is oh so soft but strong enough to hold your dearest…simply put, the perfect travel accessory.